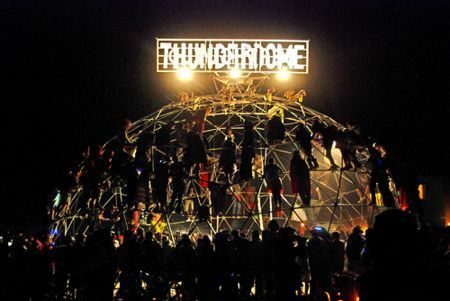 To complete the Mad Max effect, Burning Man has its own Thunderdome. Two people dangle from the top via bungee cords and go at each other with padded bats. 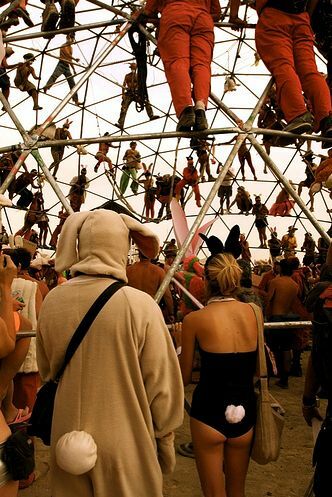 This year the Billion Bunny March descended upon the 'dome and claimed it as their own. I was not there to witness the event, but legend has it that the following was uttered: "Two bunnies enter, 40 bunnies leave."